DIRECTOR Ritesh Batra may not be a household name but his first film, ‘The Lunchbox’ is well known across the world. 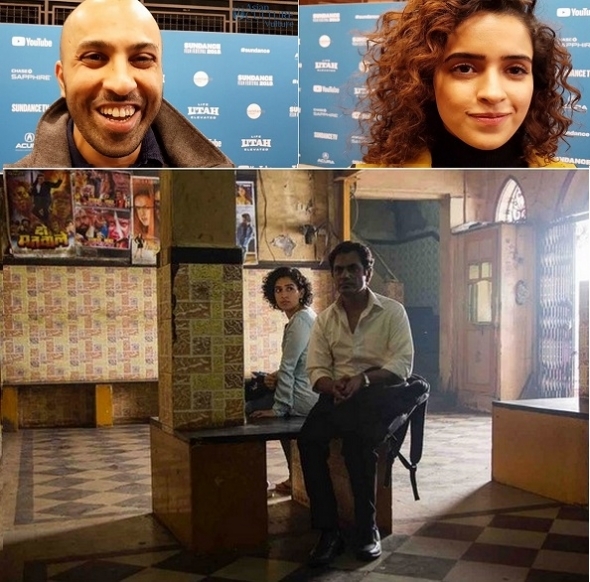 At the Sundance Film Festival (which ends this Sunday), his new film, ‘Photograph’ had its world premiere and www.asianculturevulture.com was there on Sunday (January 27) and interviewed Batra and female lead Sanya Malhotra on the red carpet. It’s an unsual story, to say the least, involving a Mumbai street photographer (Siddiqui) and at first an accidental muse (Malhotra). What transpires is far from predictable and suggests a lot very subtly. Malhotra is a rising star in her own right, having broken through in the Aamir Khan smash, ‘Dangal’, then appearing in Vishwal Bhardwaj’s ‘Pataakha’ – when she refers to ‘Photograph’ below as her second film – and not her third, it means she signed to this film before Bhardwaj’s. ‘Photograph’ has two more screenings at Sundance, check below for details. The film will also enjoy its European premiere now at the forthcoming Berlinale (February 7-17*). It screens at the festival on Wednesday, February 13 there. ‘The Lunchbox’ was one of the few films that emerged out of India in recent times and onto the world stage, premiering at the Cannes Film Festival in 2013 and going onto be screened in many countries as a general release. Reportedly it made more than $15 million (£12m) at the box office and while this is Batra’s fourth film, it represents a return to India, and Mumbai specifically and similar terrain to ‘Photograph’ – though the director is very wary of comparisons. He has directed two western films – ‘Our souls at night’ (2017) starring Robert Redford and Jane Fonda and ‘The sense of an ending’ (2017) with Jim Broadbent and Charlotte Rampling and adapted from a Julian Barnes’ novel of the same name. ‘Photograph’ is an Amazon Studios release and is set to be released in cinemas in the US and India on March 8. Curzon has picked up the rights for the UK. No other details are available about this at the present time.